Let’s face it…everyone receives what seems like hundreds of emails everyday. 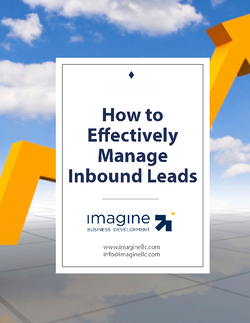 It’s up to marketers to create emails that not only get opened but also drive traffic to your site and eventually turn readers into leads. 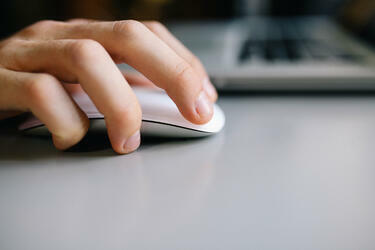 One way to measure how impactful your email campaigns are is to track the click through rate (CTR). CTR is calculated by dividing the number of click-throughs by the number of delivered messages and is expressed as a percentage. According to Silverpop’s 2014 Email Marketing Metrics Benchmark Study, the average click-through rate in 2014 across industries was 3.2%. That means that 3.2% of people who received an email that included the opportunity to click-through, actually clicked through. If your CTRs are running about average, good for you! But is average really where you want to be? Here are five things you can do to help improve your CTRs and move your email marketing efforts past average. The first thing your audience sees is the subject line. It will probably determine whether or not the reader even opens your email. Keep them short and to the point. Make sure they convey why they should open the message. Personalize the subject line. According to HubSpot, CTRs are higher when a subject line contains a first name or company name than when neither one is used. For example, instead of this subject line: “Increase revenue by 50%,” try this: “Jim – Learn how you can increase your revenue by 50%.” The subject line is still simple and to the point but adds the element of personalization. Also, test your subject lines. Use A/B testing to determine which ones are the most impactful. For more examples of great subject lines, read this post from HubSpot. Remember what we learned about personalizing the subject line? It is just as important to personalize the message. It’s also important to be personal. Writing in the second person by using you, we and even us, will make your emails more friendly and inviting. Craft your messages with the reader in mind. Make sure your message will resonate with your buyer personas. Text should be concise and compelling. Use bullets and brief sentences to make the email easy to skim. Keep links above the fold. According to HubSpot, 65% prefer emails that contain mostly images vs. 35% who prefer mostly text. Use images that help convey your message. For example, if your offer or link is for an ebook, use the cover as an image in the message. Here’s one Imagine has used. Do not include graphics that clutter the layout or detract from the message. Before you begin crafting your message, determine what the ultimate action is that you want the reader to take. Create your call to action with this in mind. Use only one call to action in your message. You may use it multiple times but focus on what it is you want the reader to do. Keep the CTA above the fold. Use A/B testing to determine the best format for your CTAs. 80.8% of users report using their mobile devices to open email (HubSpot). Need I say more? If your emails aren’t optimized for mobile devices, there is pretty good chance your audience will not click through. Email marketing is a critical part of any inbound marketing approach. Make sure you’re getting the most from your efforts.